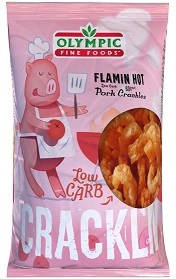 Try the tasty Flamin’ Hot Pork Crackle, it is light and crunchy. Just like mum’s pork from the oven, only less fat! Enjoy as a light snack with your favourite beverage! Love our Pork Crackle – Flamin’ Hot product?